Blogger hop is a weekly meme hosted by Crazy-for-Books. "What book are you looking forward to being published in 2011? What are you anticipating about it being published? 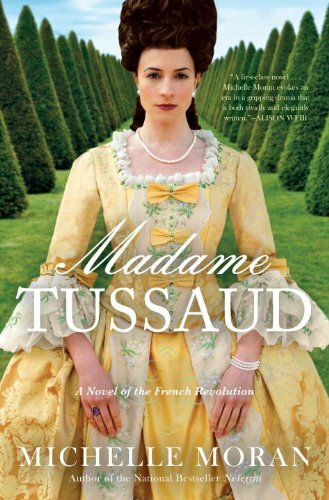 The only book that I have been waiting for is Michelle Moran's Lady Tussaud. I know it will be a great book. I've read her other books, and they are always more than fascinating. Read an excerpt from Lady Tussaud here, and read more about Michelle Moran and her other books here. Follow My Blog Friday is a weekly meme hosted by Parajunkee's View. Being a writer, it would be fabulous if I said my English class was my favorite. As it was, I failed in English...miserably. But not nearly as much as I failed in Math. Truth be told, I wasn't the best student. I was terribly shy, I never spoke up when I had a question, I never told the teacher that I didn't understand something, and I clammed up for tests. How sad. History was my fav. Except for when my 9th grade history teacher yelled at me. Punk. I am so jealous. I am an extremely creative person, but it so hard for me to focus my energy. Free-hand art is so hard for me. Hopping by to say hello and wish you a wonderful weekend! I just received an ARC of Madame Tussaud and can't wait to dive in! I love art but nothing ever comes out quite how i imagined it, i'm normally disappointed. Good choice in 2011 pick! Old follower stopping by! Drop by if you get a chance! I can really relate, I was terribly shy and still am to a point. So I really wasn't one to hold my hand up they had to call on me in class. Ugh maths is still the bane of my life 20 years later LOL.